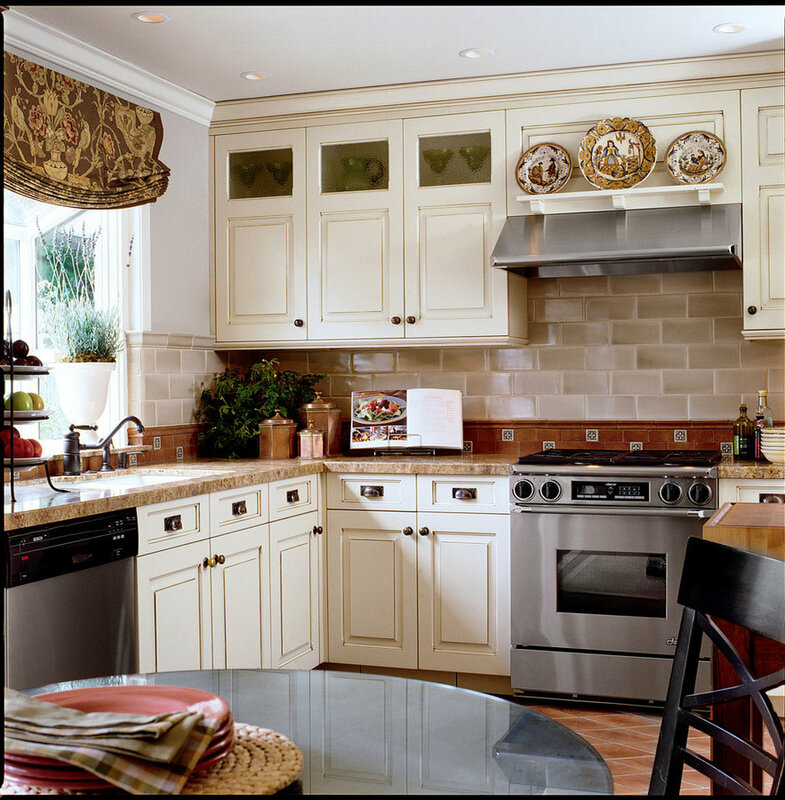 Painted cabinetry mixes with stainless steel appliances. Balance of old world material and glossy sage green subway tiles. 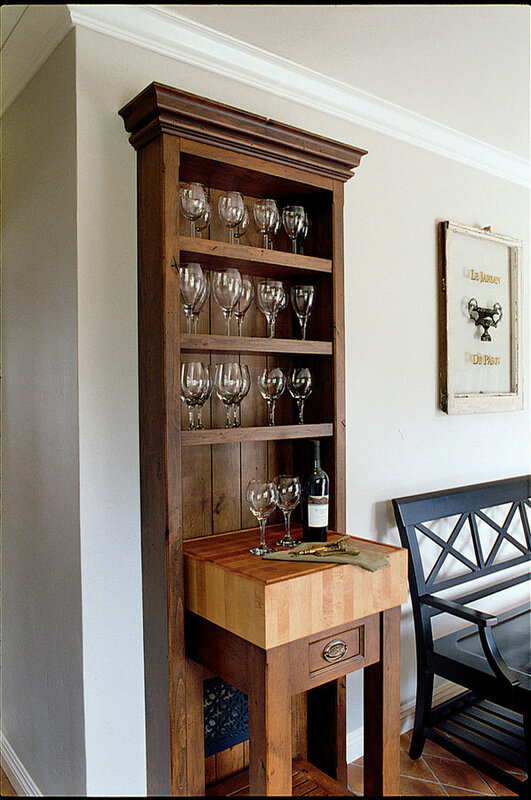 A shallow wine cabinet that conceals the central heating unit for the home. 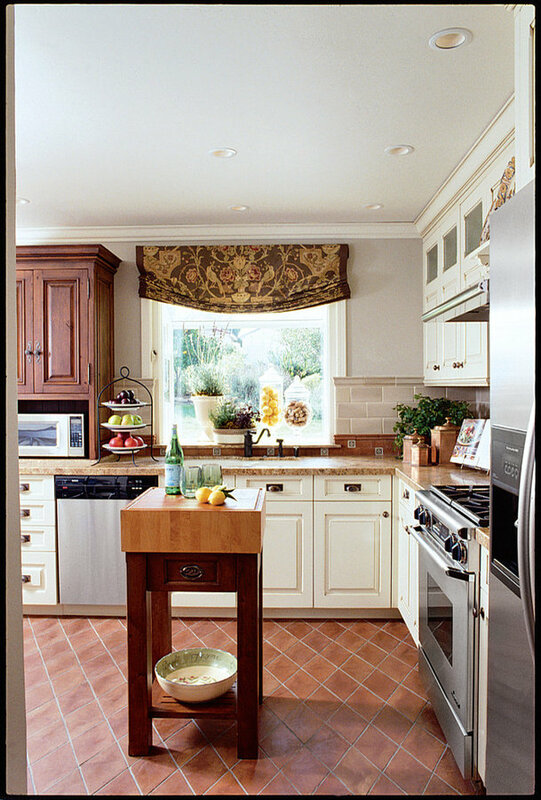 The butcher block moves and acts as a small kitchen island. The cabinet is built so that it pulls away from the wall to allow servicing of FAU.